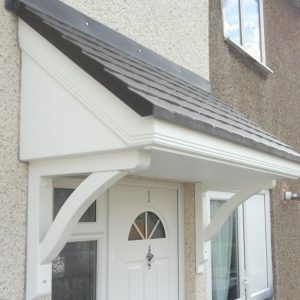 Make your property stand out with a stylish fiberglass canopy. 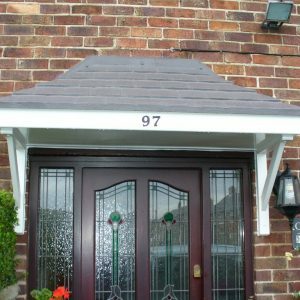 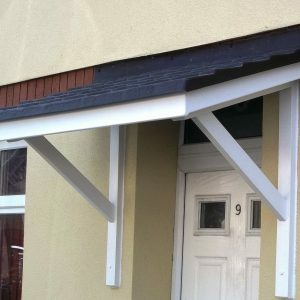 Our overdoor canopies are more cost effective than a porch, simple to install and look great – giving your front door a distinctive edge. 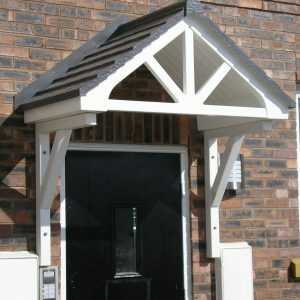 Made out of traditional materials but for a fraction of the cost these overdoor canopies are a great additional to our extensive range. 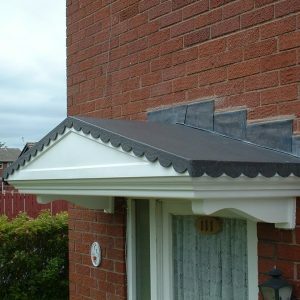 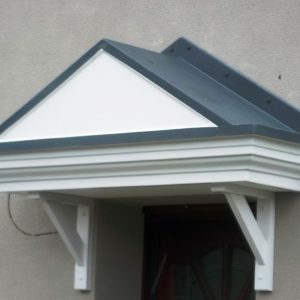 All our GRP canopies are made from high durability, low maintenance materials such as Glass Reinforced Polyester and are simple to DIY. 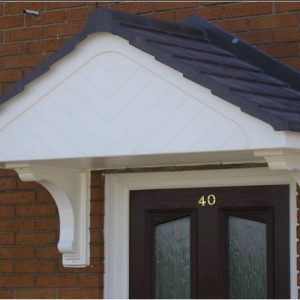 All our prices are inclusive of VAT and shipping within the mainland UK – the price you see is the price you pay! 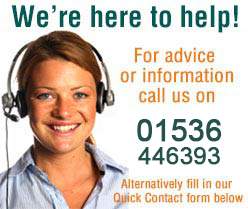 If you want further information or would prefer to place your order over the phone please call us on 01536 446393.